African film and TV talent shone bright at the inaugural AfricaMagic Viewers’ Choice Awards ceremony, broadcast live from Lagos to DStv audiences in more than 50 countries across the continent on Saturday 9 March. 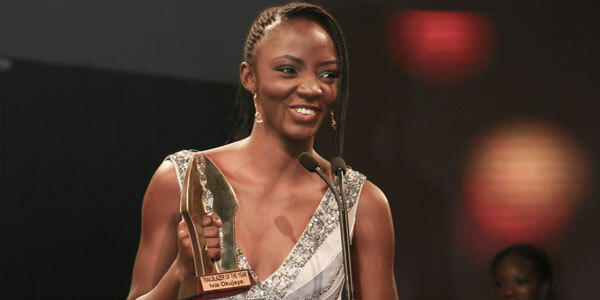 The AMVCAs, held in association with MultiChoice and sponsored by Nigeria’s number 1 low-sugar malt drink, Amstel Malta, recognised Africa’s best film and television talent in a glittering three and a half hour ceremony, hosted by Big Brother’s IK Osakioduwa and StarGist’s Vimbai Muntinhiri. The pre-event red carpet saw the stars dazzle, flaunting the finest continental fashion. Capturing all the glamour of the gala event was a team of on-air personalities, including Big Brother alumni Uti Nwachukwu and Nic Wang’ondu alongside Eku Edewor, Dolopo Oni, Sarah Hassan and Helen Paul. The continent’s glitterati rubbed shoulders at EKO Exhibition Centre, which featured a dramatic multi-layered stage decked with giant LED screens. Big individual winners on the night included Nigeria’s Mercy Johnson (Best Actress – Comedy) for Dumebi – The Dirty Girl, Ghanaian Jackie Appiah (Best Actress – Drama) for Perfect Picture, Nigeria’s Hafiz Oyetoro (Best Actor – Comedy) for House a Part and his compatriot OC Ukeje (Best Actor – Drama) for Two Brides and a Baby. Category wins for Best Supporting Cast in a Drama went to Uganda’s Matthew Nabwiso for A Good Catholic Girland Kenya’s Maureen Koech for Lies That Bind. 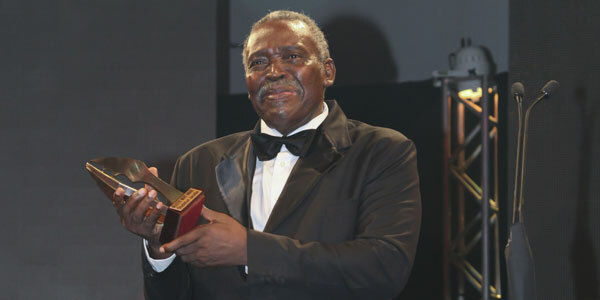 The prestigious award for Best Director went to Akin Omotoso for Man on Ground. The announcement of the winners of the hotly-contested Best Movie Overall and Best Television categories produced the biggest ovation of the night, with Otelo Burning and The XYZ Show scooping top honours. Otelo Burning, produced and directed by South African Sara Blecher, tells the story of a group of township kids who discover the joy of surfing. It’s set in 1989, against a backdrop of brewing conflict between two political groups. The XYZ Showis a Kenyan political satire program, created and produced by Godffrey Mwampembwa and Marie Lora-Mungai. The spoof newscast, featuring latex puppets, tackles current affairs issues in Kenya with a bitingly humorous twist. An expert judging panel with a wealth of continental and international experience; and led by AMVCA Head Judge Femi Odugbemi; were responsible for selecting the winners in non-viewer voted categories. The panel included Antonio Katakwe, Charles Asiba, Desiree Markgraaff, Joyce Fissoo, Kole Omotoso, Linus Abrahams, Simon Ratcliffe, Steph Ogundele and Zik Zulu Okafor. The results in each category were verified by auditors from SizweNtsalubaGobodo, who were on hand on the night to hand over the top-secret envelopes. A night dedicated to honouring the continent’s finest filmmakers was graced by a host of home-grown musical superstars too, as Femi Kuti, Sauti Sol, Tiwa Savage, Banky W and Chidinma, along with Ghana’s Efya, rocked the stage – and the continent. … while Ivie Okujaye was named the TrailBlazer of the Year. 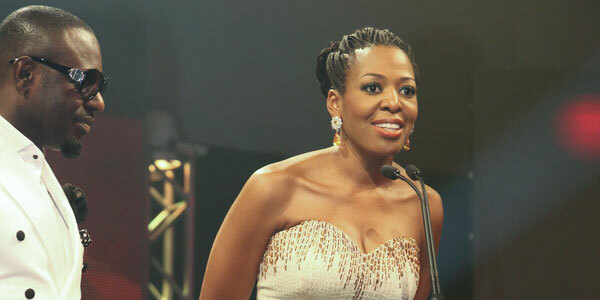 Commenting on an outstanding night of celebration, M-Net Africa MD Biola Alabi said, “It has been a wonderful night. Fantastic performers, glittering fashion, deserving winners; it has been a night of huge excitement and emotion. Most importantly, it’s been a true celebration of African film and television, a fitting platform for the stars of our continent, both in front and behind the cameras. African film and TV talent shine at the #AMVCA 0 out of 5 based on 0 ratings. 0 user reviews.